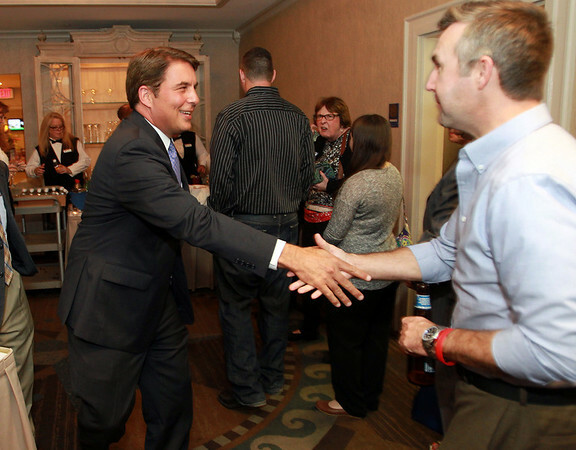 Republican congressional candidate Richard Tisei, left, shakes hands as he arrives at the Salem Waterfront Hotel for a rally on primary election night, despite running unopposed for the Republican nomination. DAVID LE/Staff photo. 9/9/14.